Well rested and ready to go!! After arriving home from Rio at the end of August, we took some time off to regenerate, rest, and focus on our mental strengths. We also can’t forget about our commitment to the gym, getting fitter and stronger when we aren’t on the water. Coincidentally, we have been in all four corners of the USA while we were at it! While we were at home (me in San Diego and Helena in Seattle), Helena had some awesome opportunities talking with some local yacht clubs and organizations about our campaign! In Seattle, she first visited the youth sailors and parents at Sail Sand Point (where she learned to sail!) and then Bainbridge Island. 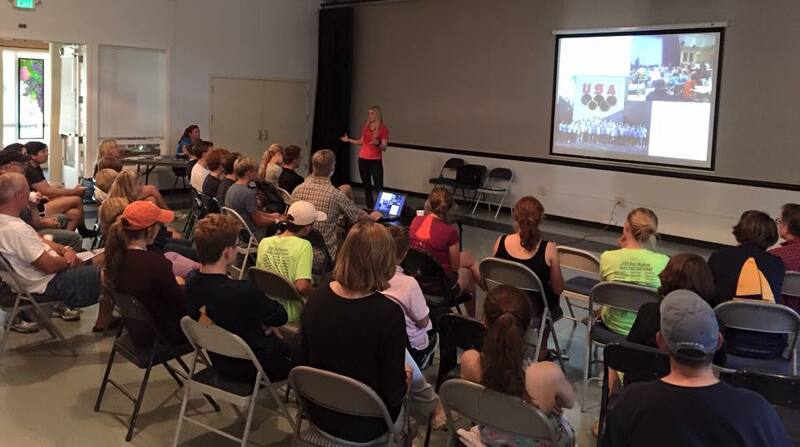 She gave presentations on the aspirations of our campaign and the path we take to becoming better athletes and sailors. She is in San Francisco now to stop by Corinthian Yacht Club in Tiburon to speak to their members and our Bay Area fans. Thanks to the US Sailing Team Sperry for providing stickers, posters, shirts, and visors for the excited youth sailors! Helena and I also had the opportunity to represent the US Sailing Team Sperry at the Sail to Victory fundraiser at American Yacht Club. On Friday, Helena spoke to their youth racers and brought her Pan Ams medal for some exciting ‘show-and-tell’ before coaching the Optis for the afternoon. On Saturday we had a blast sailing around in Ideal 18’s racing against each other with some of the members and kids. The day got increasingly challenging as the wind picked up to about 12-14 knots and we ripped around the Long Island Sound in Rye, NY. That evening we dressed up and attended the Gala where American Yacht Club did an amazing job putting together a silent and live auction to raise money for the US Sailing Team Sperry. It was a fantastic night meeting new people and getting to know the community that are willing to support us athletes in our journey for the podium in Rio. 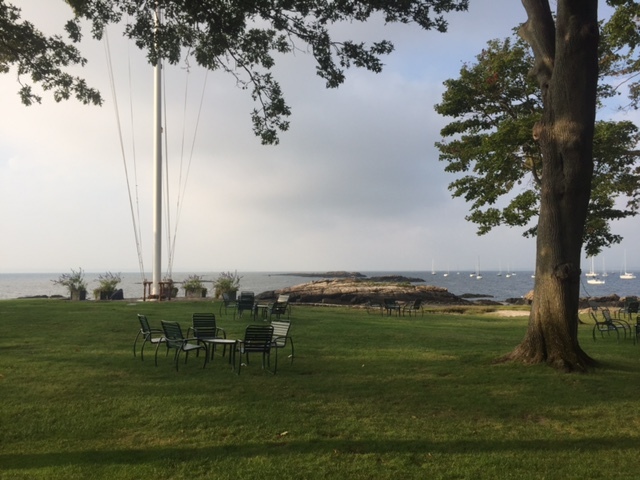 The second day at American Yacht Club consisted of putting together a little clinic for the young sailors of American Yacht Club. There were three different fleets of boats and the US Sailing Team Sperry athletes were split up between Optimists, Lasers, and C420s. We enjoyed showing the kids some tips and tricks. Altogether, we want to thank American Yacht Club for hosting Sail to Victory to raise funds for our team and also the US Sailing Team Sperry for their contribution. After the fundraiser in Rye, NY, Helena and I drove to New Jersey where we picked up our 49er and gear that was sent from Europe to the states. We drove from New Jersey to Charleston, South Carolina where I was dropped off to reconnect with my college friends and get organized for when I return in the fall of 2016. Helena continued driving to Clearwater, Florida. 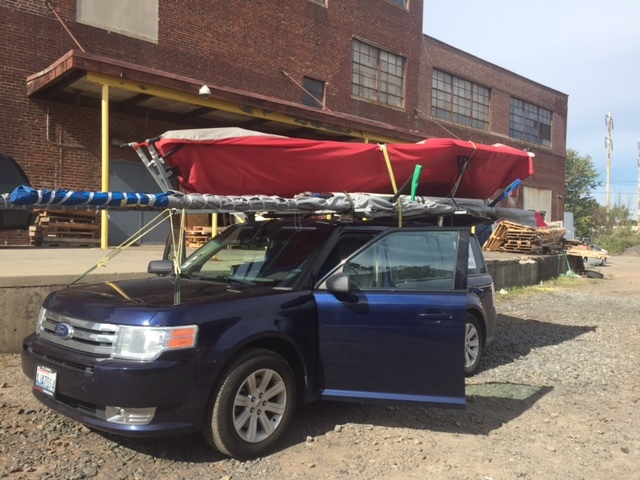 Our US Olympic Trials this winter are in Florida so we drove our boat and equipment to where it needs to be. We won’t be in Florida until December, but it’s now nice to know that everything will be there waiting for us. The next part of our campaign consists of traveling to Argentina for training and racing! We leave the states tomorrow and fly to Buenos Aires where we will train for about two and a half weeks. We then will have a week break at home and will return to Argentina on November 1st as we get prepared for our 2015 World Championships starting on November 16th. We are both excited to get back on the water after this break and feel refreshed and ready to push ourselves for improvements on the water. Thanks to the contributions of our supporters, we have a new boat waiting for us in Buenos Aires! We can’t wait to get her ready to sail! Finally, early next week we will be launching a crowdfunding campaign on the RallyMe.com platform in order to raise the funds that we need to compete in the US Olympic Trials. The Trials start in just 3.5 months. With your support, we’ll be ready. Stay tuned! Thanks for the update. Looking forward to the RallyMe campaign! Good luck in BA. 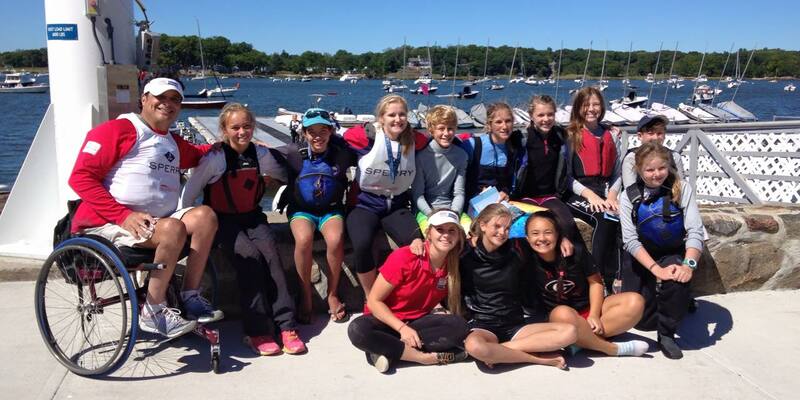 Awesome photo of you and the kids at American Yacht Club! Fun for all! Four corners indeed! Stay warm in Argentina.